I feel as though many people, particularly foodies, want to be Italian at some stage or at least want to emulate their lifestyle. To the casual observer, they look as though they have the meaning of life sorted out. And even if they don't, they look like they are having a great time. And one arena in which Italians do it better is with slow food. 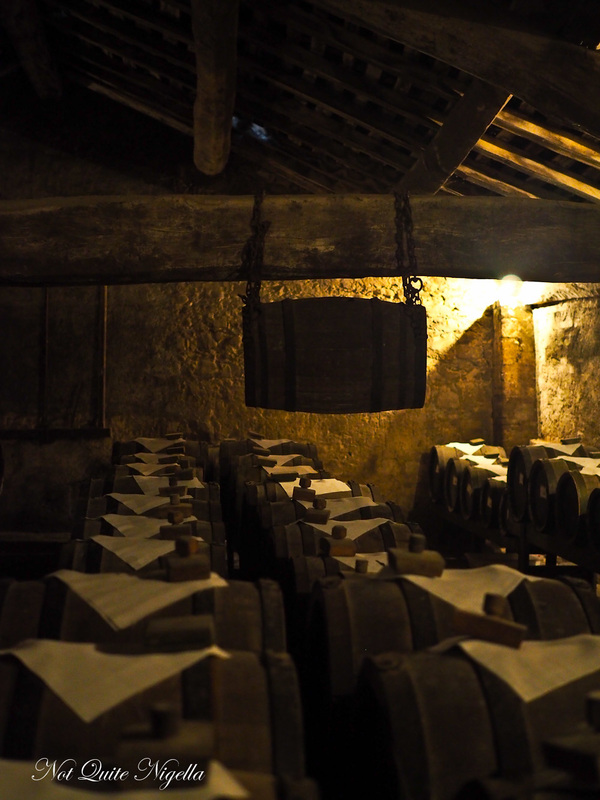 That is, food that takes time to mature and ripen and perfect like traditional aged balsamic vinegar. Maybe that's their secret? 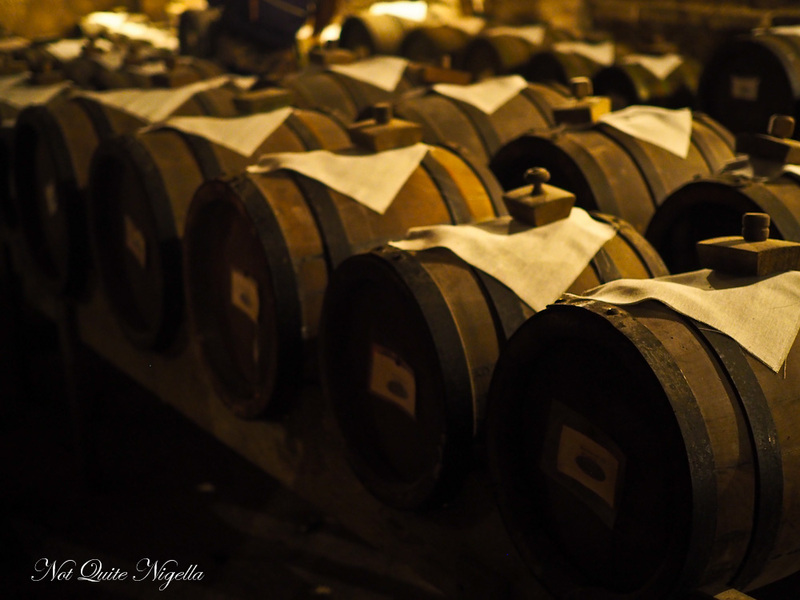 When you think of Balsamic vinegar you may think of areas like Modena but other areas of Emilia Romagna also have a rich industry of balsamic vinegar. 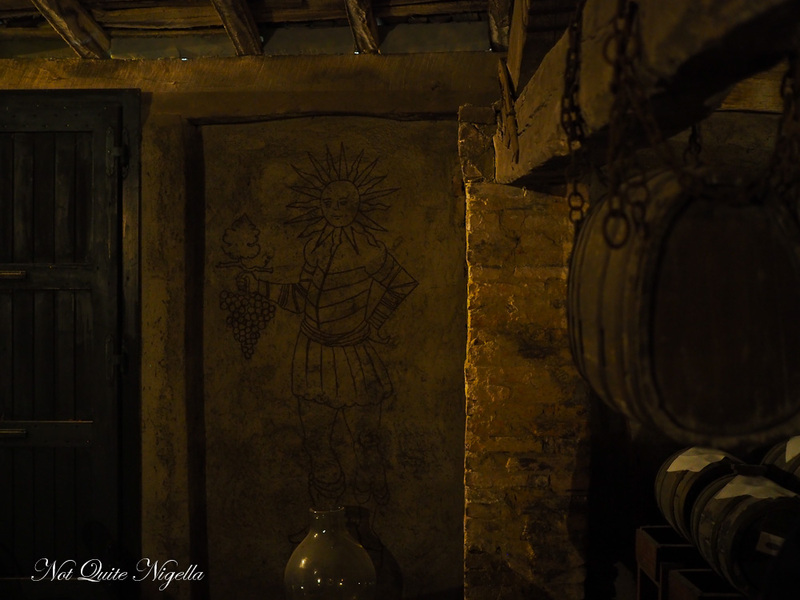 At Venturini Baldini a gorgeous sprawling organic estate that spans over 150 hectares they make and age balsamic vinegar and make Lambrusco wine with a variety of Lambrusco grapes grown on the 32 hectares of vineyard. 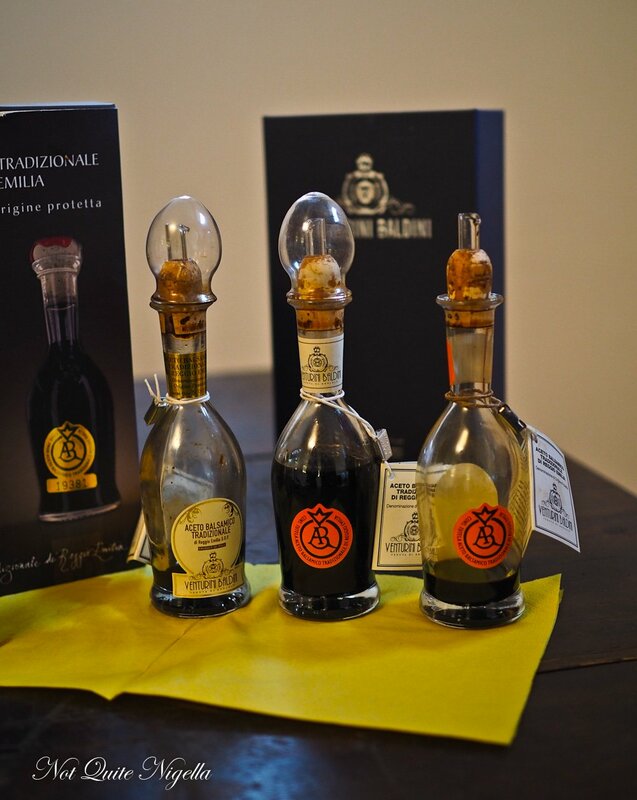 "This is a very strange product," they say beginning the explanation of how the traditional balsamic vinegar is made. True balsamic vinegar (as opposed to the cheaper stuff found at the supermarket which they call balsamic condiment) is a true labour of love. And time. They start with Lambrusco grape must which is cooked for 24 hours at 70°C/158°F. This is then stored in a big barrel for 1 year. The next step requires an elevated location near a ceiling or roof. They take a battery of barrels of five different woods in ascending size. These are all local aromatic woods and could be anything from juniper, mulberry, cherry or oak. They fill each barrel and then once a year they top up each barrel after evaporation has taken place with some of the liquid from the next largest barrel. The idea is to fill the smallest barrel with a mixture of all the liquid flavoured with the different woods to create a final product. Then the largest barrel is topped up with more grape must. Then they take a sample of the small barrel to the consortium's sommeliers for approval to bottle. 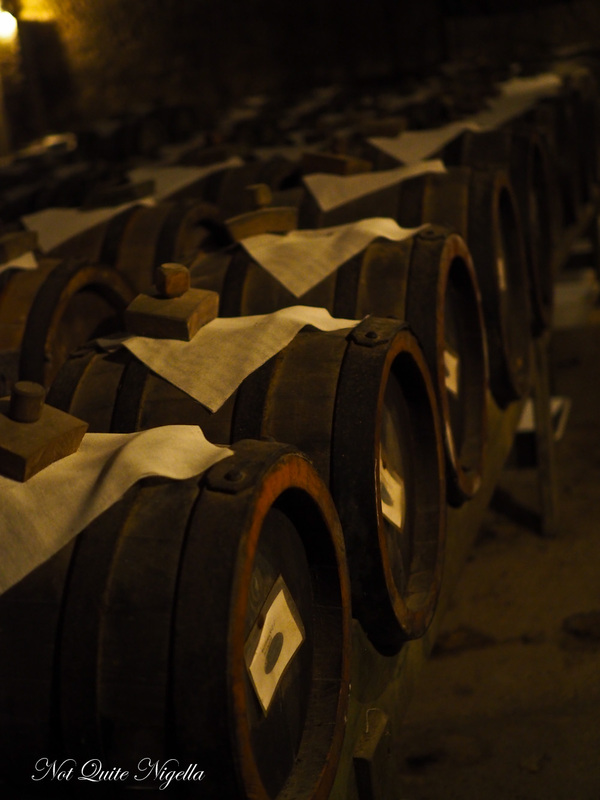 To obtain the first level of "orange" the vinegar needs to age for 12 years (€45), the next highest silver is 20 years (€64) and gold is 25 years (€99). With prices to match the time taken to create this product they wouldn't dream of splashing this on a salad with oil. In the middle ages it was touted as a medicine but nowadays they use just a few drops to season food. Whether it be artichokes, pumpkin risotto, reggiano cheese or on vanilla ice cream. The less expensive condiments that we see at the supermarket have grape must and wine vinegar added. They also sell these too and these range from €10 to €18. They also have a beautiful white and dark balsamic pearls made using a spherification process. The white ones are sublime with fresh oysters and I buy some for gifts and to enjoy at home. So tell me Dear Reader, have you ever tried aged balsamic vinegar? How what food do you usually pair with balsamic vinegar? And do you consider yourself a patient person? 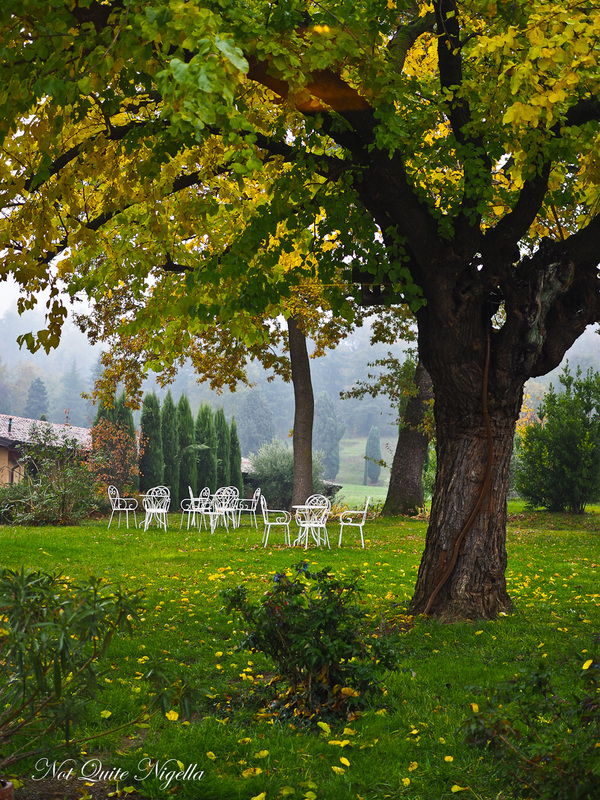 NQN visited Emilia Romagna as a guest of The Emilia Romagna Region Tourist Board but all opinions remain her own. travelSeven Must Do's Around Remarkable Rimini, Italy! travel9 Amazing Eats & Things To Do in Modena, Italy! travel Seven Must Do's Around Remarkable Rimini, Italy! 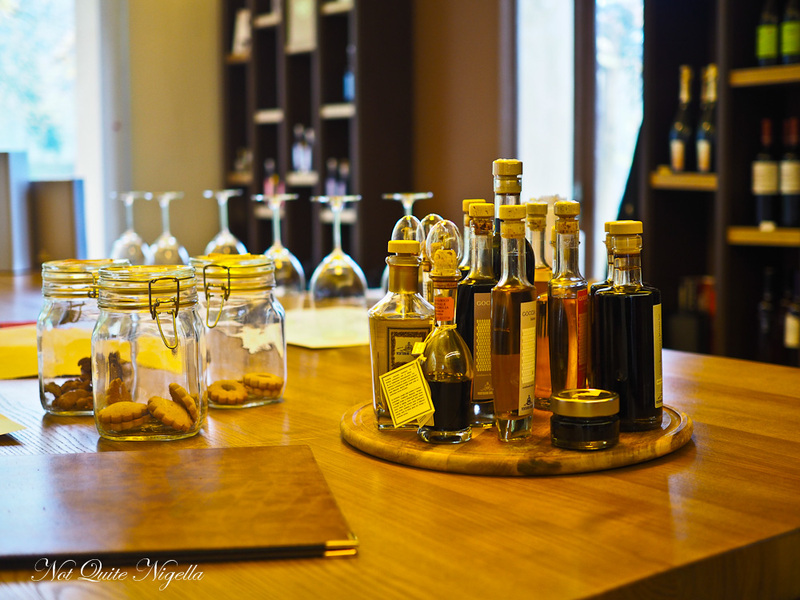 travel 9 Amazing Eats & Things To Do in Modena, Italy!